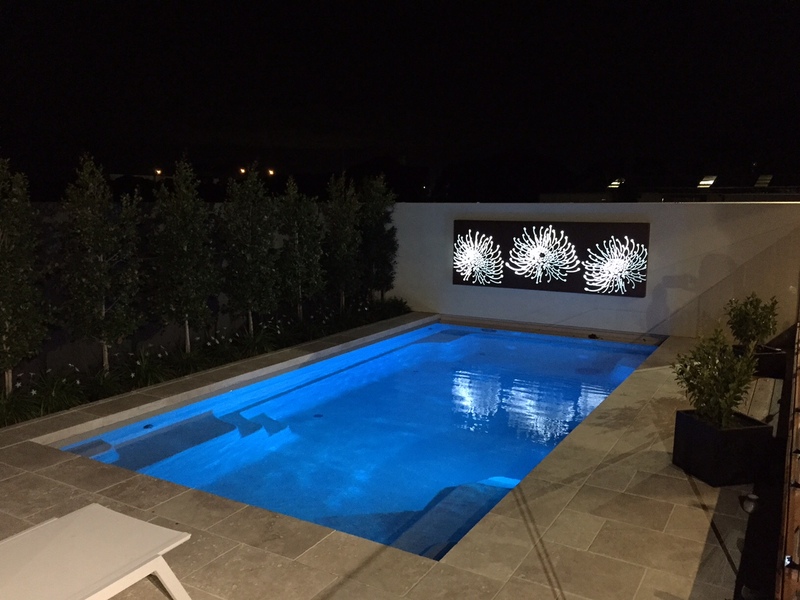 When you have a poolside wall with the option of a water feature or lightbox – why not have both! 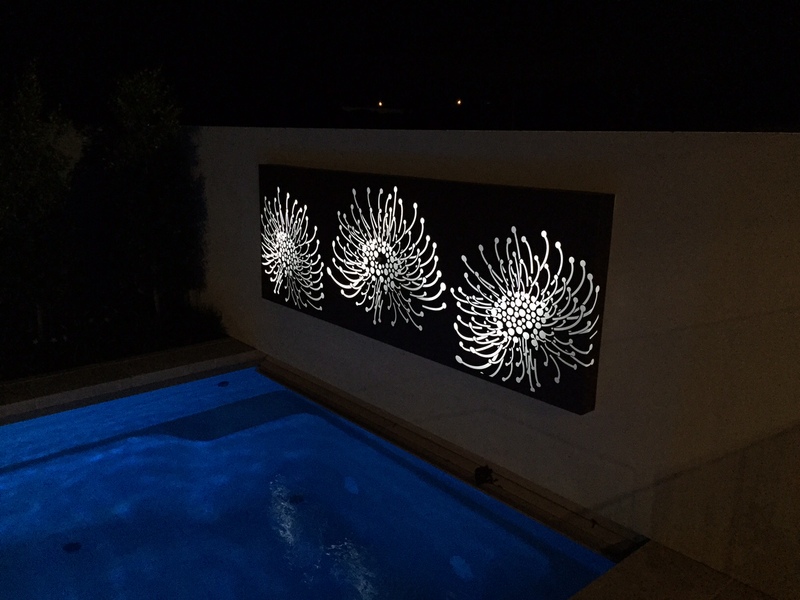 Our orange pin cushion design works brilliantly across the this landscape oritentation lightbox and water feature. 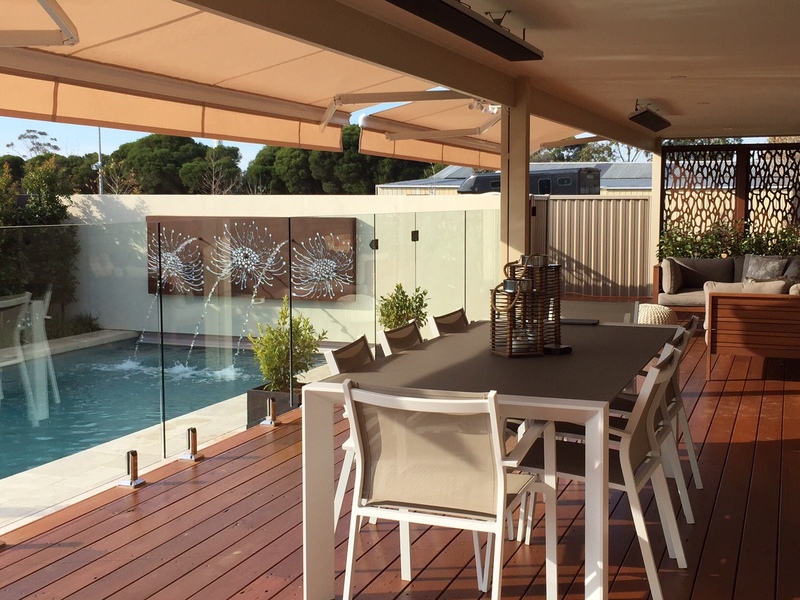 The laser cut screen is from 3mm aluminium and then powdercoated in faux corten colour. 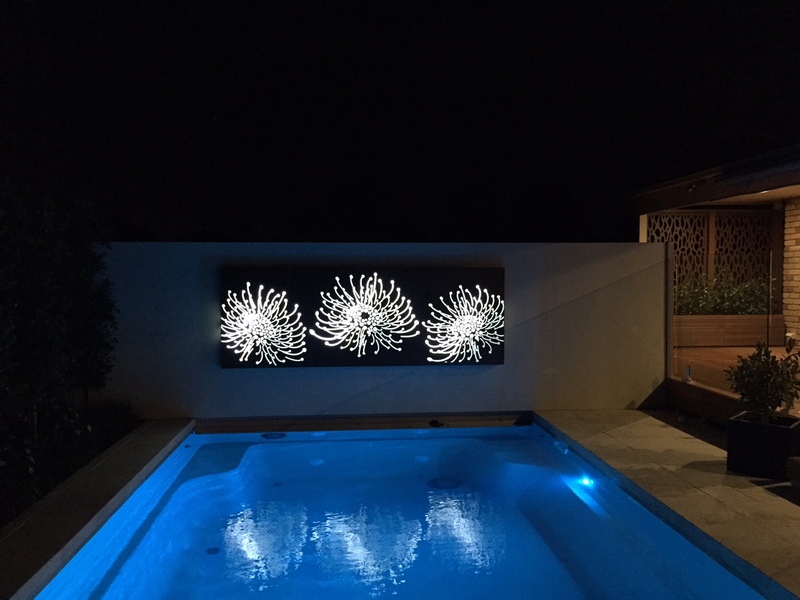 Perspex behind and internal cool white LED strip lighting bring it to life at night. 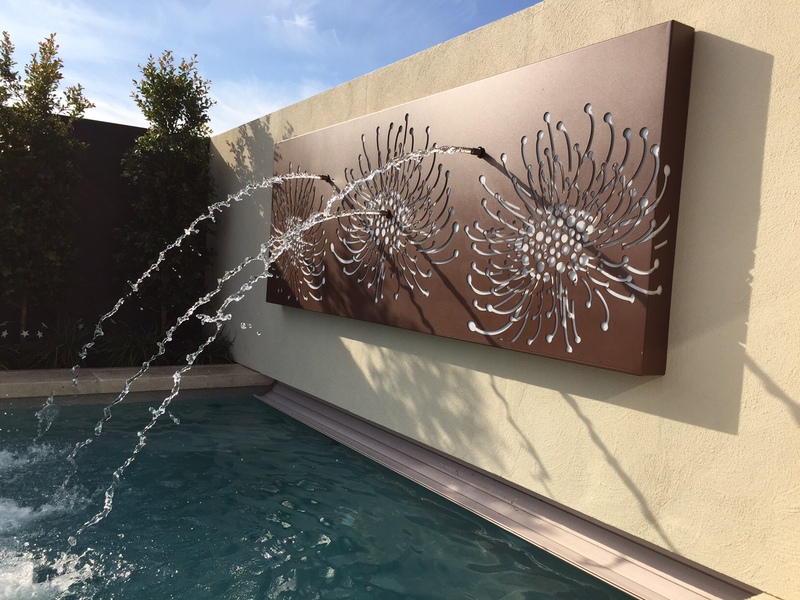 Three spouts, plumbed into the pool pump bypass, then extend through the front of the panel to provide the water feature. 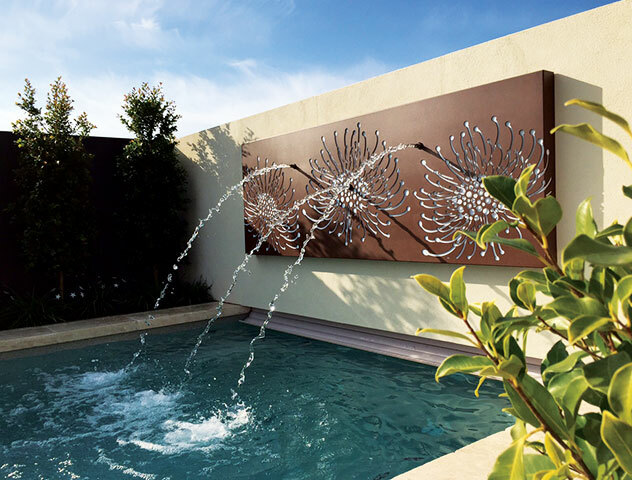 This concept can be utilised with any of our designs and in any panel configuration with custom design.